The bride in her gown may be the star of the show, but let’s not forget her co-star. Just as many eyes will be on the groom in his attire, so if ever there was an occasion for a custom suit, this is it. 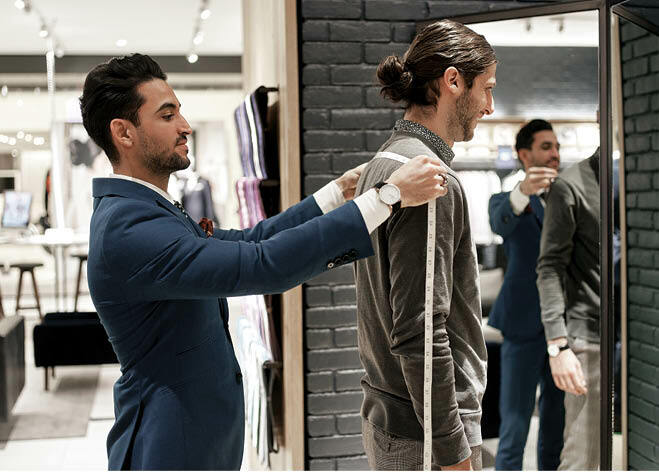 Indochino, the made-to-measure menswear company, opened a showroom at the Mall of America late last year. Shoppers get a personal Style Guide who leads them through the plethora of options—from lapels to lining to fabrics to monograms. The men are measured, and then the clothes are made to fit them like a glove (or maybe less like a glove and more like a well-tailored suit, but you know what we mean), arriving at their doors within three weeks. 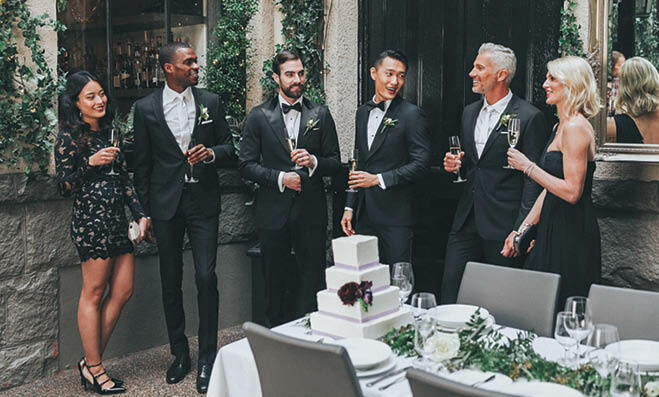 Wedding parties can shop together in the Groom’s Lounge, for the kind of VIP experience that’s usually reserved for the gals.